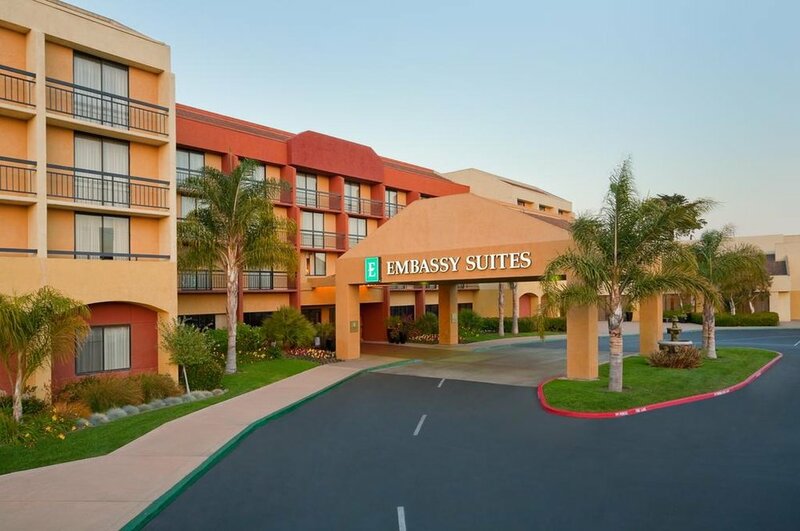 This beautiful all-suite San Luis Obispo hotel is minutes away from seven championship golf courses, 40 premium wineries, fishing, surfing, hiking, and many more outdoor destinations and activities. 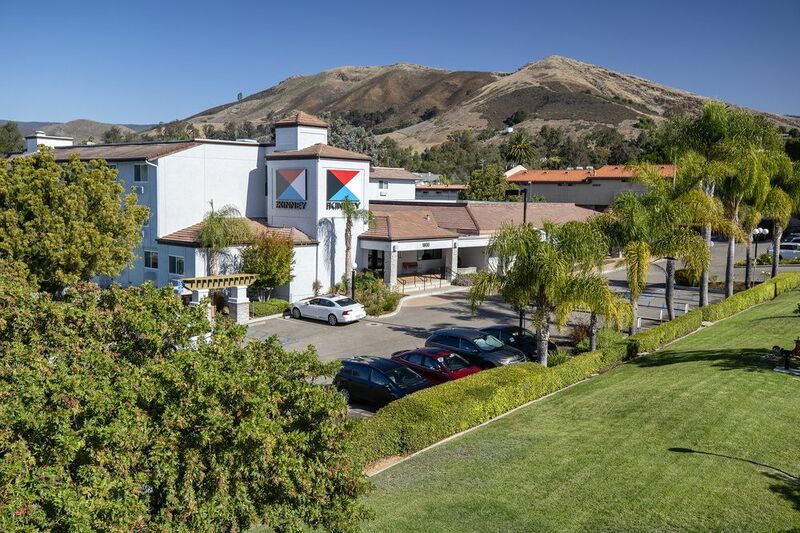 All of the spacious suites at this San Luis Obispo hotel offer separate bedroom and living spaces with flexible working areas, internet access, refrigerator, microwave, in-room safe, and coffeemaker. Relax while watching your favorite show on the 43-inch flat screen TV with HD. 15 Rooms Reserved for CubeSat Developers Workshop. Quality Suites is an all-suites property located near the downtown area, and easy access to highway 1. Each suite has a bedroom and living room set up. The bed types offered are either one king bed, or two double-beds, and both room types have a pull-out couch in the living room. The suites have a TV in each room, a mini-fridge, microwave, and sink in the living room, as well as the essentials such as a coffee maker and hairdryer. Parking and Wi-Fi are included in the stay, along with a full cooked to order breakfast, a complementary beer and wine reception for two hours every evening, and free shuttle service to and from the airport, train station, and the downtown area. There is a heated pool, spa, exercise room, and gift shop on site. A poolside barbecue is offered in the evenings for $8 and less. The Kinney Hotel in San Luis Obispo beckons you to embrace your inner coed, bringing cultivated on-and-off campus vibes to the forefront. Visit our onsite bar and restaurant- Leroy's - for sips and bites, take a dip in our year-round heated pool, and check out our oh-so-flexible function space. Plus, we offer the perfect home-base for exploring everything San Luis Obispo, including Cal Poly SLO, Bubblegum Alley, and our legendary Thursday Night Farmers Market. Looking to soak up the sun? The Kinney SLO is located just a short drive from Avila Beach, Morro Bay, Shell Beach, and Pismo Beach. Our hotel is located 15 minutes from the University making it an easy trip to the conference. Our restaurant is open for breakfast at 7am – 12pm on Saturday – Sunday. Our lounge and restaurant open again for dinner and room service from 5pm – 9pm every day. Additionally, we have a heated outdoor pool from 8am – 10pm and gym that is open 24 hours.